Before I start getting deep into all of the recipes, I thought I’d start by building the right “food foundation”, so my first few “health” blogs will be about shopping, organic food, and the ingredients we put in our food. 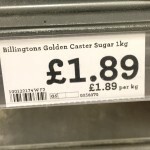 As a latecomer in this eating-clean race, walking down the fruit and veg aisle with my new food and health plan for the first time, was a little bit overwhelming. In fact, I think I stared at all the different prices of apples for a while thinking, “so what exactly is the difference and why so many prices?”. 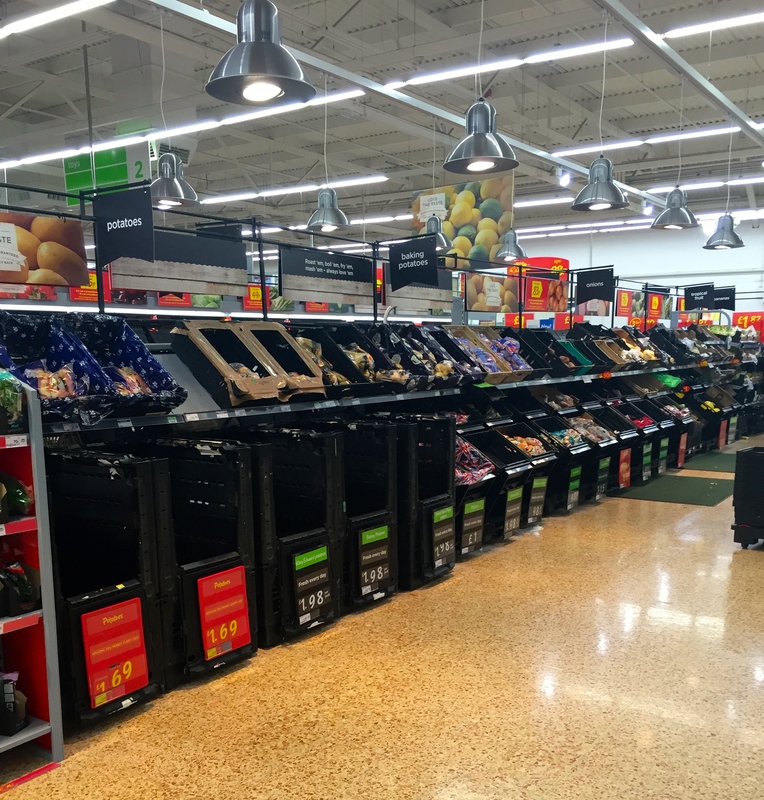 I’ve always eaten lots of fruit and veg, so I wasn’t a stranger to the produce aisle, just now I wanted to do it properly, it was a lot harder than I thought. I do like saving money, and I always check 3 online prices before I buy, so here are a few tips for smart shopping that I’ve picked up along the way that help me shop and eat clean without putting too much of a dent in my bank account. I know we hear this all the time, but if you have a shopping list, you are more likely to stick to it, and only buy what you actually need. In my house, we have a shopping list fridge magnet so as soon as you use the last of something, you write it on the list. On Saturdays, mom tears off that list and does the weekly grocery shop based on that list. I’m not saying you won’t stray from the list, but you will spend less than if you didn’t have a list. I always find that if I plan my meals for the week, I spend less money at the grocery store. This is especially true if you are trying out new recipes. Getting all the ingredients for one recipe can easily cost £10+, so if you are making 4 new recipes a week, that’s £40, and you haven’t even got your basic grocery shop yet; what I like to do is to research a few recipes that I want to try out in a week that use the same or similar ingredients so I don’t waste a whole bag of leeks when the recipe only calls for 1/4 cup of leeks. (Yes, leeks always go off in my fridge). This keeps my cost down, but means I get to play around with food in the kitchen. Let’s take the apple example I used above. 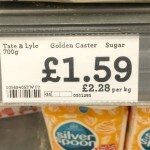 Don’t be afraid to work out how much each kg costs to do a real price comparison. 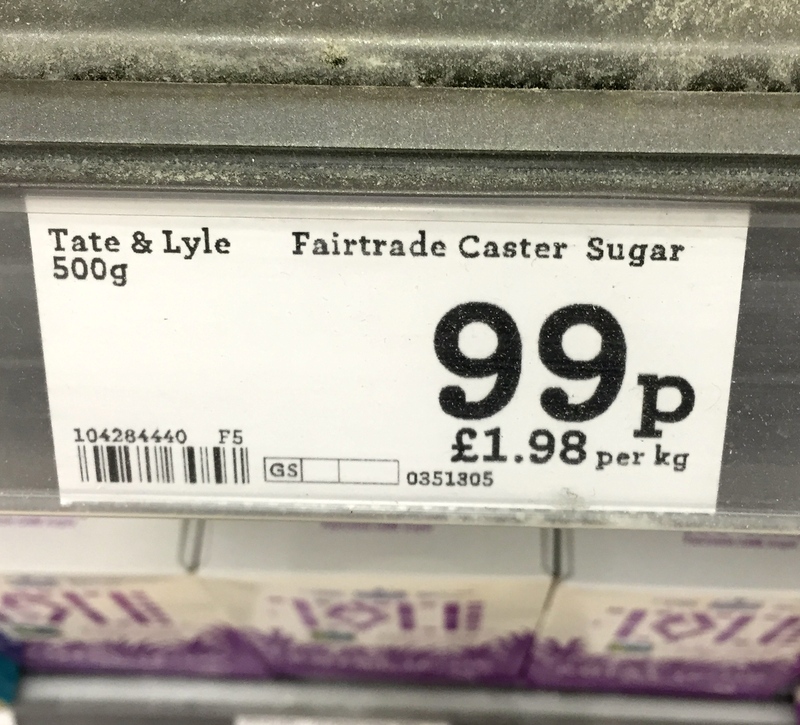 On most shelf edge labels (not only in the produce aisle), there will be text along the lines of “0.05p per kg.” I usually buy the largest product that is the cheapest per kg to make sure I’m actually getting the best deal. So in my apple example, it’s actually cheaper to get the loose apples. You might be thrown by the fact that you have to weigh it, but 8 times out of 10, it will work out the cheaper than the bagged apples, or roughly the same price! 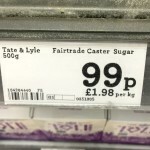 Last week, in Morrisons, I bought 4 HUGE loose sweet potatoes for £1.29, where 5 small bagged sweet potatoes were £99p. I used them in a recipe and only used 2 of the large potatoes, whereas if I had bought the small, bagged potatoes, I would have used at least 4 of them. 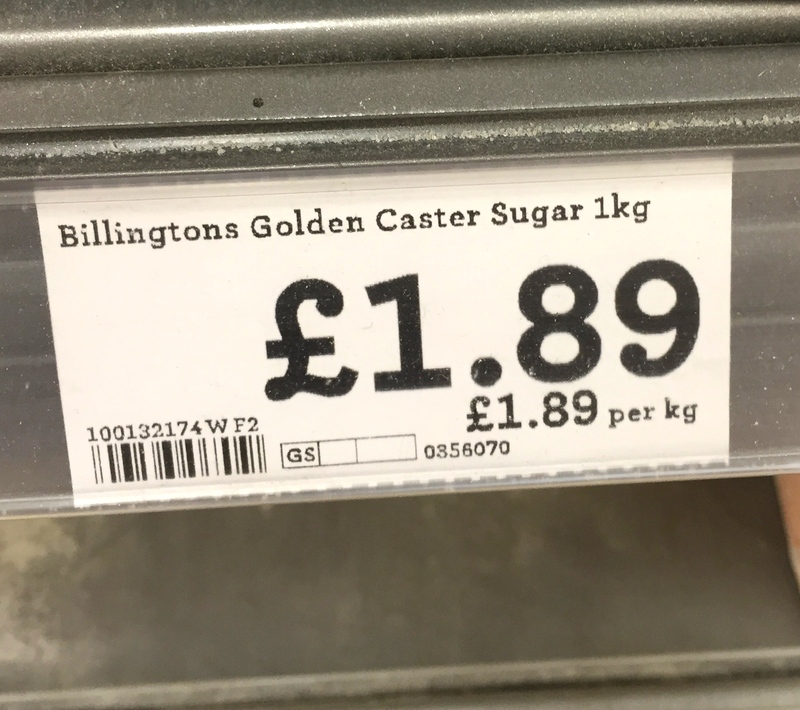 The cheapest sugar in this example, is the Billingtons Golden Caster Sugar (unless you genuinely only need 500g of sugar)! Unless you are going to eat all of those bananas before they ripen, there is no point. So many times I’ve shopped by looking for buy-one-get-one-half-price deals, and ended up throwing away the “half price” item because it expires before I even get to use it. It’s always best to only buy what you need. 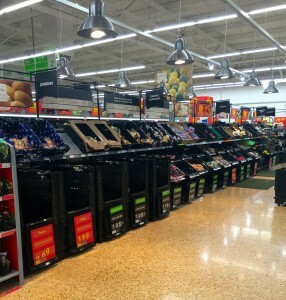 There’s no point adding and extra 50p per deal to ur shopping, just to throw it away in a weeks time. Subscribe to my blog via email on the right to make sure you don’t miss anything!